Winter has arrived in many of our neighborhoods, lights are showing up in and around our houses, and it’s clearly the holiday season, no matter which ones you celebrate! In this, our last issue of 2017, we look ahead toward the new year with recommendations for how to enhance your communication style and increase your successes in 2018. We were such big fans of “Late Night with David Letterman” that we decided to include a Top Ten list this month, suggesting concrete steps you can take to improve your game as a public speaker. Meanwhile, our blog articles this month challenge you to finally rid yourself of those pesky non-words that pop up in your conversions and presentations, and offer up ways to take advantage of TED Talks to learn from the many thousands of videos on their website. Make 2018 the year you really become a better leader by improving your communication skills. Here’s our list of suggestions and exercises for getting the year started off right. We promise that if you take these steps seriously, you will see big improvements ahead. Monday: Make eye contact during every person-to-person interaction. Tuesday: Be aware of pausing any time you’re talking. Wednesday: Replace your qualifiers (if, think, hope, etc.) with stronger language to help you sound more confident. Thursday: Increase the amount of facial expression you use, as if you were on stage. Friday: Be conscious of gestures. Pay attention to the ones you typically use, watch what other people do, and work on expanding your variety. 2. Watch other speakers who capture your attention, and analyze what it is they do well. Borrow tactics that you think would work for you. 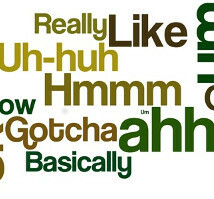 Watch TED talks (see blog article) if you don’t have good example speakers at work. 3. Find everyday opportunities to practice your speaking skills, such as when leaving voice mail, participating in conference calls or meetings, etc. 4. Volunteer to speak whenever you can, whether in your community, at your kids’ school, or planning a lunch-and-learn at work. 5. Engage your co-workers. Ask some of your closest colleagues for their honest feedback—what are some of your communication tendencies? Invite them to observe you during meetings and provide written or verbal comments. 6. Make a habit of “power-posing” before important phone calls, meetings, interviews or presentations to help you project more confidence. Follow this link to learn more from Amy Cuddy about this topic. 7. Watch yourself on video: have a colleague use a cellphone or tablet, or set up a camera on a tripod to film yourself, while practicing for an upcoming presentation. Review the video, making note of distracting tendencies, then film yourself again as you practice different options. 8. Add energy! Whether it’s increasing your conviction level or cranking up your enthusiasm, people will notice when you inject energy into your communications. 9. Be positive as you approach important moments. Focus on what you’re going to do to make yourself successful, rather than worrying about ways things might get screwed up. 10. Invest in yourself by working with EMS. Attend one of our monthly public workshops. Bring us in for customized training for your team. Engage EMS for one-on-one executive coaching. Get going. And if you need any help understanding what we mean when we describe these exercises, please give us a call! In the midst of this holiday season, we’d like to PAUSE to say a bit about non-words. The other day, we saw a reporter interview a high-profile guest on a highly-rated news program. When this particular host questioned his guest, he included a loud, uncomfortable “aaah,” as in “So do think that—AAAHHH—these countries will agree to the ideas you are proposing?” He used loud non-words every time he spoke, and we’re pretty sure he didn’t even know he was doing it. One of the best ways to improve your presentations is to watch other effective speakers, take note of what they do well, and work to incorporate those lessons into your own delivery. 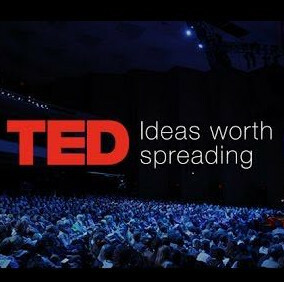 TED talks are such a great resource for this type of learning. Thanks again for reading the Digest in 2017. We wish you a wonderful New Year, and look forward to bringing you great new tips and ideas in 2018! All of our 2018 dates are below!